Wambui Bahati, a.k.a. John-Ann Washington, shares a powerful, personal and important story about mental illness, self-esteem, self-love and courage. 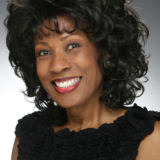 She was born and raised in the segregated south during the 1950s and 1960s and has sprinkled the narrative with significant national historical events, and how they personally effected her life. She invites us in for a behind the scenes look at her years as an actress on Broadway and in national touring shows. At times hilariously funny and always relentlessly honest,You Don’t Know Crazy presents an intelligent, informative portrayal of bipolar mood disorder and its effects on Bahati's self-esteem, career, relationships and day-to-day coping. Wambui also reveals exactly what she did that allowed her to reclaim her life, and she encourages the reader to understand that each and every one of us has an innate wisdom and strength that may have either been forgotten about, or the knowledge has been lost as to how to tap into that inner wisdom and strength. This book will show you how to find that within yourself, and reclaim your own life. She went from Broadway star to welfare mom. Some said she was dead. Others said she was on drugs. She was told she would spend her life in and out of mental institutions. She was told her children could no longer live with her. When it seemed like her life couldn’t get any worse, she decided she only had two options - she could either live, or she could die. If she lived, she told herself it would be on her own terms. For the past 10 years she has researched, studied and explored various ‘quality of life’ altering strategies. Her mission was to find out how to have a life of joy, peace and fabulous health – the best life possible! This inspiring woman not only ‘got up’ when everyone thought she was ‘out for the count’, but rose to new heights, and continues to soar. You Don’t Know Crazy gives you the inspiration and tools that will allow you to soar too! I have to admit that I had never heard of this person prior to reading her book. However, through her story "You don't Know Crazy" I have come to admire Wambui Bahati. Bahati suffers from mental illness and although this is one of the cornerstones of her book, she uses as a stepping board to inspire and show the world that even though you suffer from mental illness, you CAN reclaim your life. Bahati had a terrific life to the outside world, she even appeared in shows, however, what the world did not see is a woman quickly spiraling downwards. She lost it all - left with only two options, she chose to live. This book is written in an honest and often extremely funny way. The author obviously chooses to express herself through humor and this was quite inspiring. She retells her story and as she describes the hell that she went through, I could actually feel myself in her shoes - living it in my own head and heart. I like the positive message this book sends out and I really like Bahati's take on life. She also included, in the book, some wonderful natural remedies and lifestyle changes that have helped her and actually could benefit us all. This is a story about a woman that went from performing live on Broadway to being on welfare. But, this isn't just another story of a fallen diva from fame. There are a lot of deep underlying issues that shapes Wambui Bahati's biography. Wambui Bahati was diagnosed with manic depressive illness at the age of 43. The story talks about some of Bahati low points in her life. Many women will be able to relate to dealing with mental illness and the different struggles of dealing with life. There are many characters that make up a story and it's not any different with "You Don't Know Crazy". Bahati talks about her family, friends, ex-husband and other people she meet along the way. Bahati talks about her childhood and growing up in the south during the 50's. I can really relate to different parts of Bahati's story. For example, I can relate to her religious background and growing up in the south. I had a similar religious background and I grew up in the south. I can remember the church and family members telling me to live my life right or I would burn in hell. Bahati had a similar experience and didn't know what was right or wrong. Eventually, she was able to follow everyone else. Also, I like that "You Don't Know Crazy" doesn't come off as preachy or self righteous. There have been many times that I have heard people say be positive or you should be inspired by this person success. I can remember reading a part in the book when Bahati was reading a self help book and she was so frustrated that she threw the book across the room. It was really hard for her to listen to inspirational quotes when she had problems paying the bills. I know some people will find it shocking that Wambui Bahati had mental illness problems and was in different mental illness facilities. There are many people and families dealing with mental illness. Most of the time people don't even realize that there is a mental illness problem. Wambui Bahati's story is so powerful and she is able to rise above it all. Also, this book is for anyone that's dealing with mental illness and it will inspire you to want overcome it.